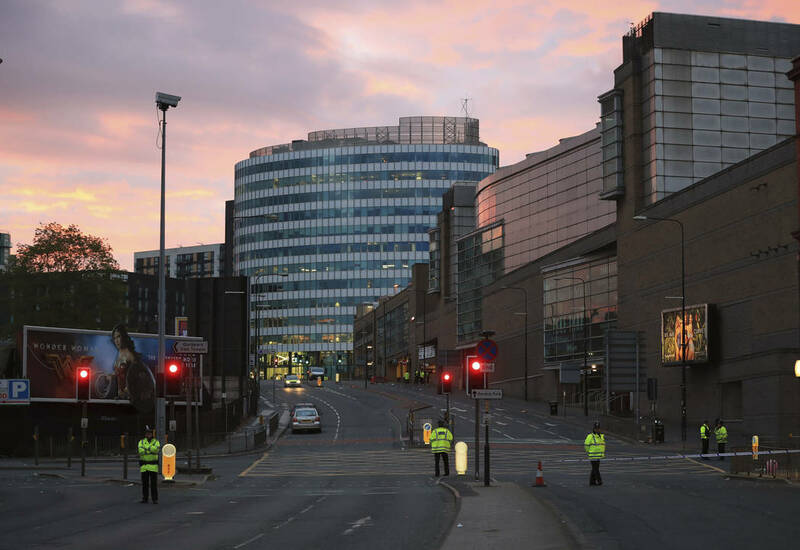 As investigators hunted for possible accomplices of a suicide bomber, thousands of people poured into the streets of Manchester in a vigil Tuesday for victims of a blast that bathed a pop concert in blood — the latest apparent battle-scarred target of Islamic extremists seeking to rattle daily life in the West. 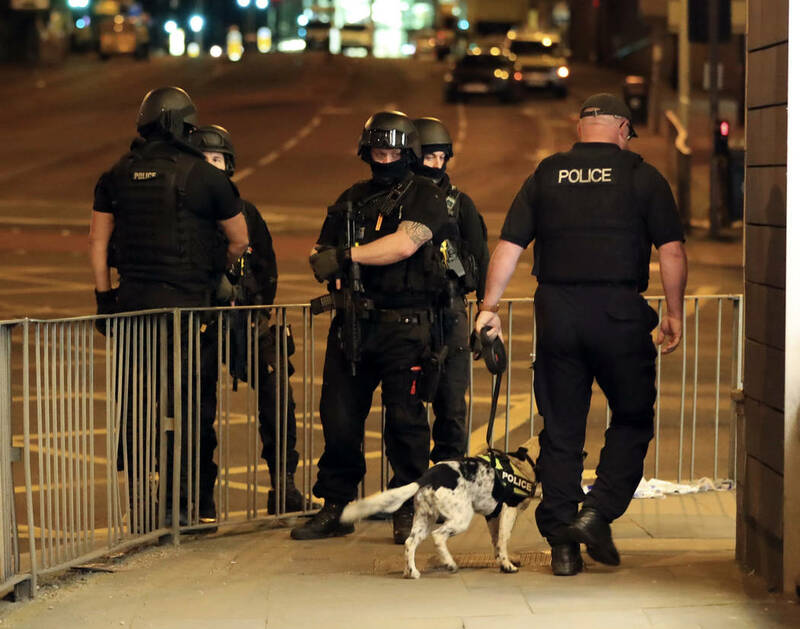 MANCHESTER, England — As investigators hunted for possible accomplices of a suicide bomber, thousands of people poured into the streets of Manchester in a vigil Tuesday for victims of a blast that bathed a pop concert in blood — the latest apparent battle-scarred target of Islamic extremists seeking to rattle daily life in the West. 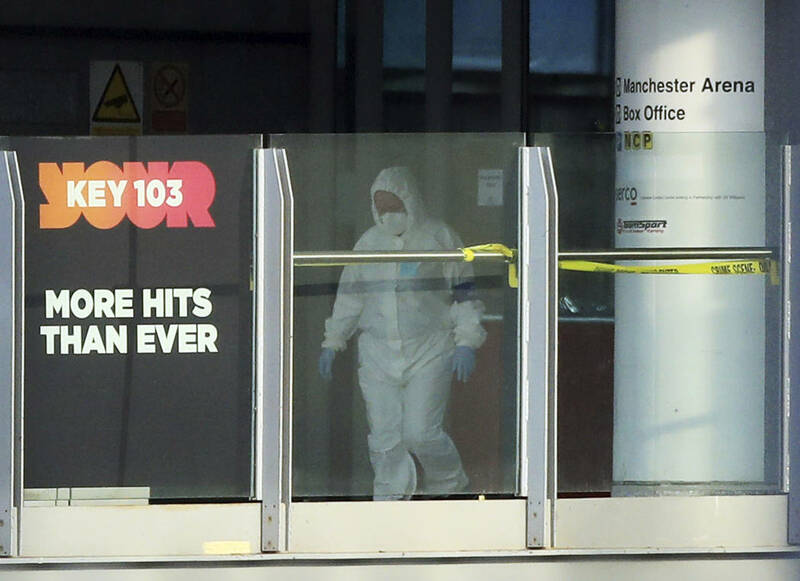 The attack left at least 22 dead, including an 8-year-old girl, shattering the revelry at the close of a show by American singer Ariana Grande, where strains of electric pop and the sways of innocent young fans quickly gave way to an explosion, a flood of screams and a stampede of panicked concert-goers, many clutching pink balloons and wearing the kitten-ear headbands popularized by Grande. May said Britain’s terror threat level had been raised to critical — meaning another attack may be imminent. 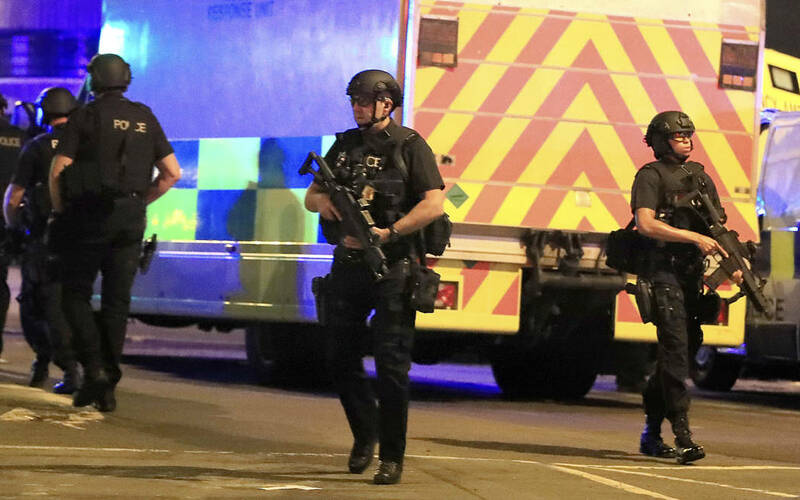 The status means armed soldiers could be deployed instead of police at public events including sports matches. The threat level had been at the second-highest run of “severe” for several years. The Islamic State group claimed responsibility for the horror, which also wounded 59 people, though a top American intelligence official said the assertion could not be verified. 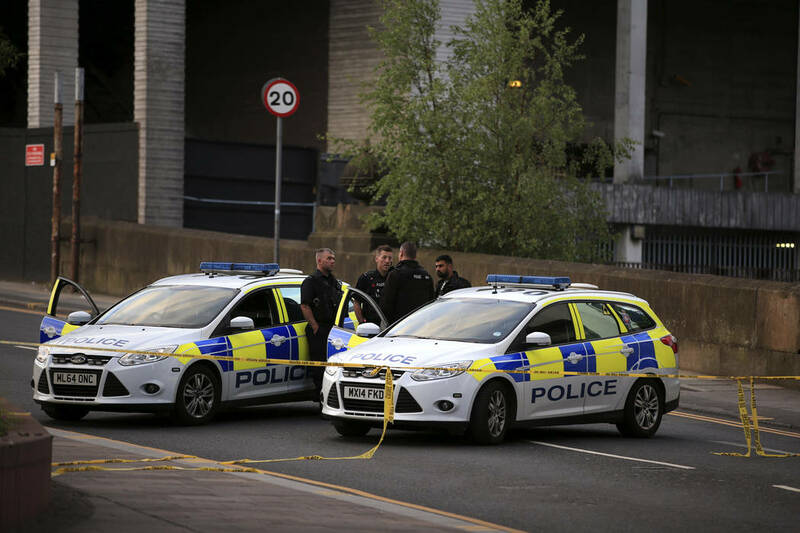 Manchester Police Chief Ian Hopkins identified the bomber as 22-year-old Salman Abedi, who authorities said died in the attack. 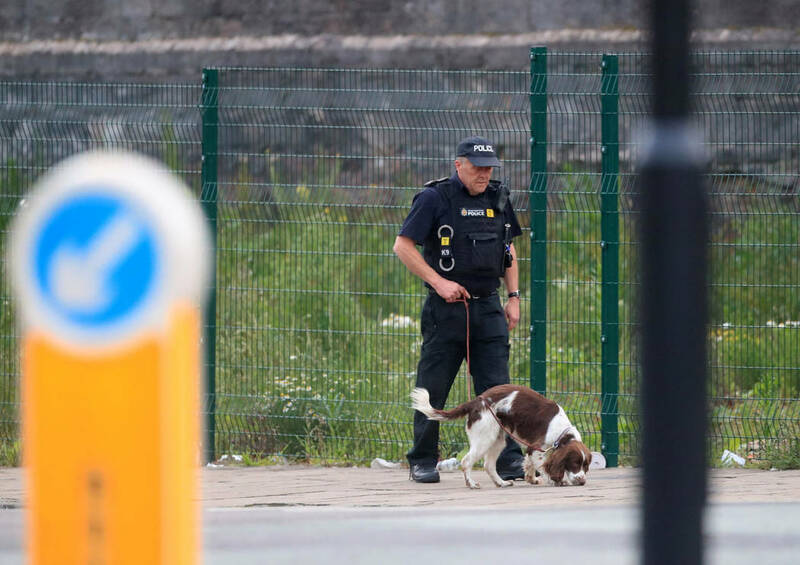 Police raided two sites in the northern English city, setting off a controlled explosion in one, and arresting a 23-year-old man in a third location. May said Abedi was born and raised in Britain. 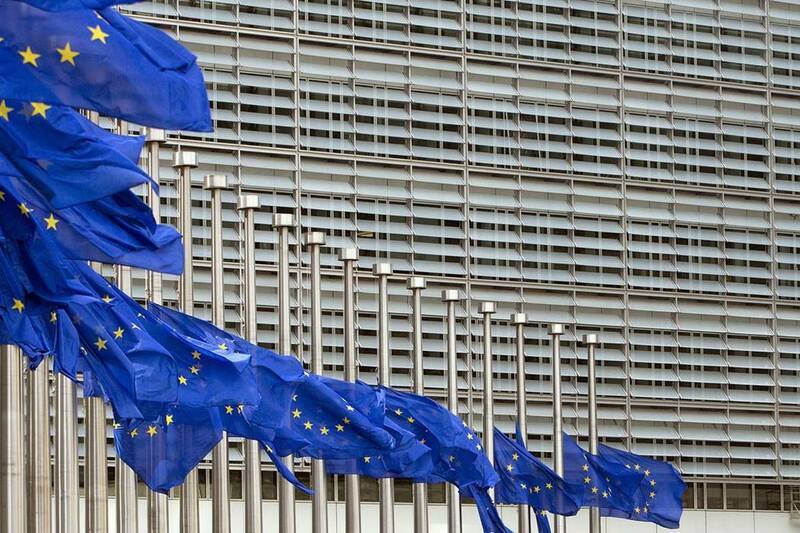 A European security official, who spoke on condition of anonymity because he was not authorized to comment on ongoing investigations, said Abedi was of Libyan descent. There was no information released on the man who was arrested. 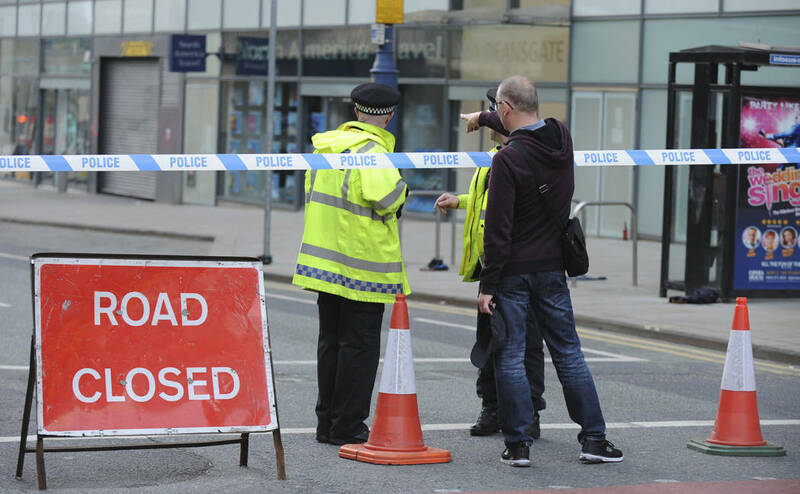 At least 20 heavily armed, helmeted police surrounded a modest red brick house listed as Abedi’s address in a mixed Manchester suburb at midday on Tuesday and blasted down the door. “It was so quick. These cars just pulled up and all these police with guns, dogs, jumped out of the car and said to us: ‘Get in the house now,’” said Simon Turner, 46, who lives nearby. Later, forensic officers in white coveralls were seen going in and out of the property. Alan Kinsey, 52, who lives across the street, said his neighbor would often get picked up by another young man in a Toyota and often returned late at night. “I thought he worked in a takeaway or something” because of his late hours, Kinsey said. 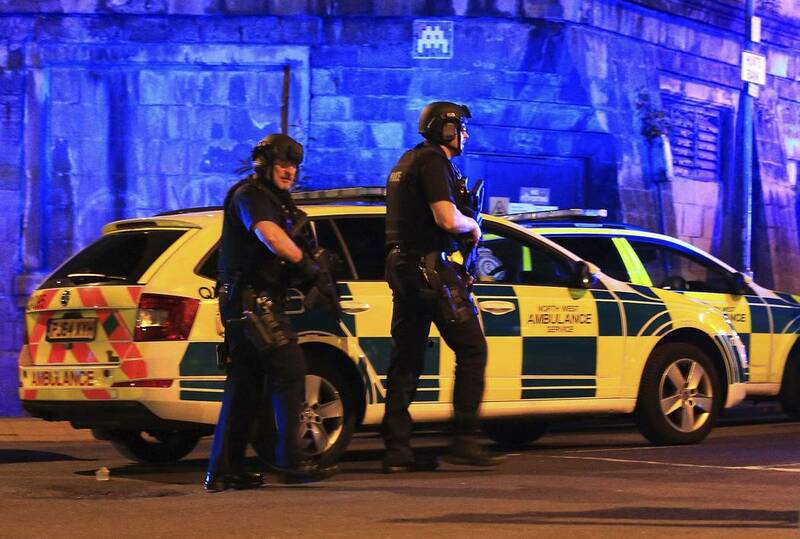 Police also searched an apartment in a nearby area that British media reported belonged to Abedi’s brother, Ismail. 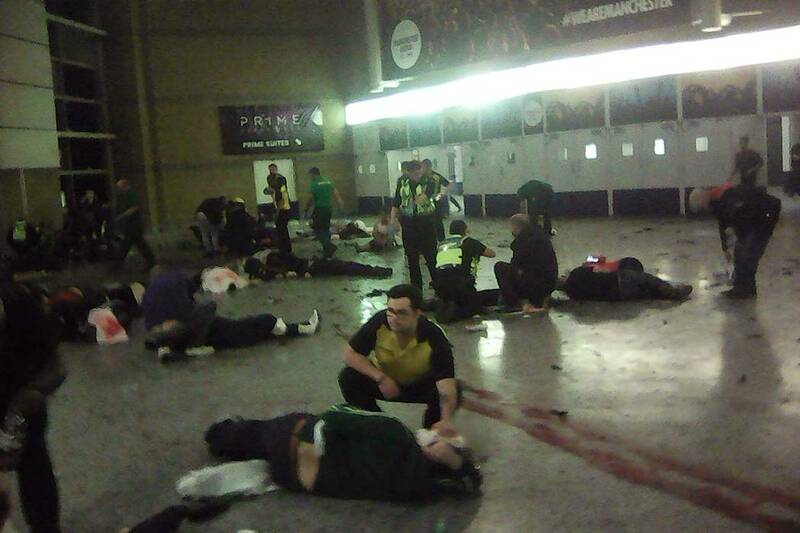 Monday’s bombing made Manchester Arena, one of the largest indoor concert venues in Europe, the latest apparent target of Islamic extremists striking at the heart of Western culture, an ideology baffling to the panicked young faces emerging from the concert. Besides the dead, the wounded included at least 12 children under the age of 16, hospital officials said. The bombing took place after Grande closed the show with “Dangerous Woman” and left the stage and the audience streamed toward the city’s main train station. It scattered bolts and other metal scraps, apparently intended to maximize the bloodshed. People tumbled over guardrails and one another clawing toward an escape. “I’ve called the hospitals. 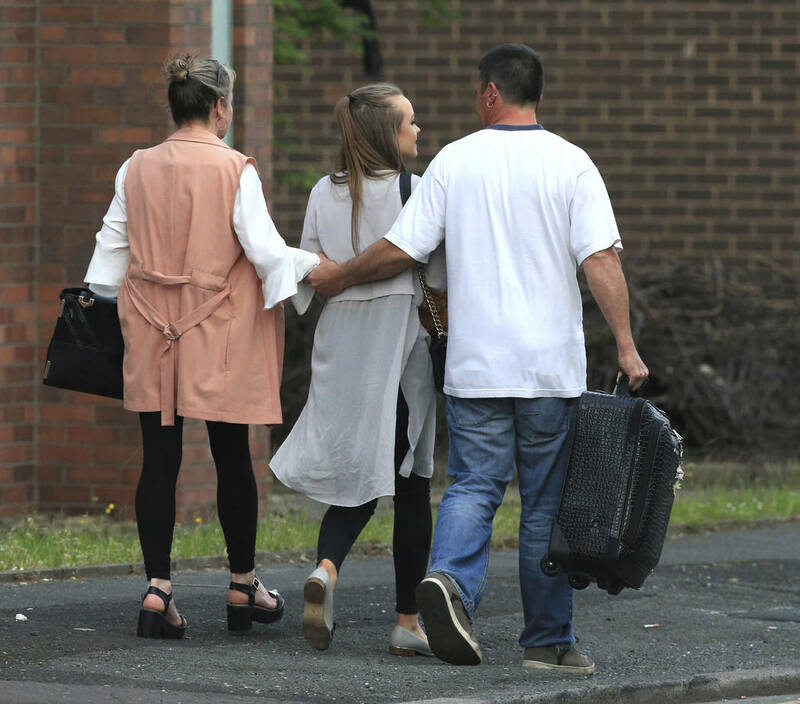 I’ve called all the places, the hotels where people said that children have been taken and I’ve called the police,” Charlotte Campbell tearfully told ITV television’s Good Morning Britain breakfast show. Campbell’s 15-year-old daughter, Olivia, had attended the show with a friend who was wounded and being treated in a hospital. At Buckingham Palace, Queen Elizabeth II marked a moment of silence along her husband Prince Philip as well as Prince Charles and his wife Camilla. In Rome, the lights of the Colosseum and Trevi Fountain were darkened. Manchester, 160 miles (260 kilometers) northwest of London, is one of Britain’s largest cities. 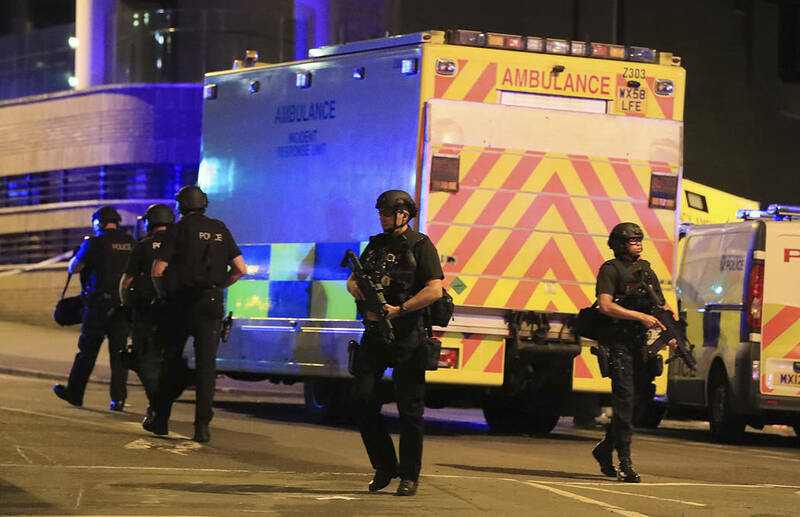 The attack was the deadliest in Britain since four suicide bombers killed 52 London commuters on subway trains and a bus in 2005. Islamic State’s claim of responsibility echoed others the group has made for attacks in the West but with vague details that left open the possibility it was an opportunistic attempt at propaganda. 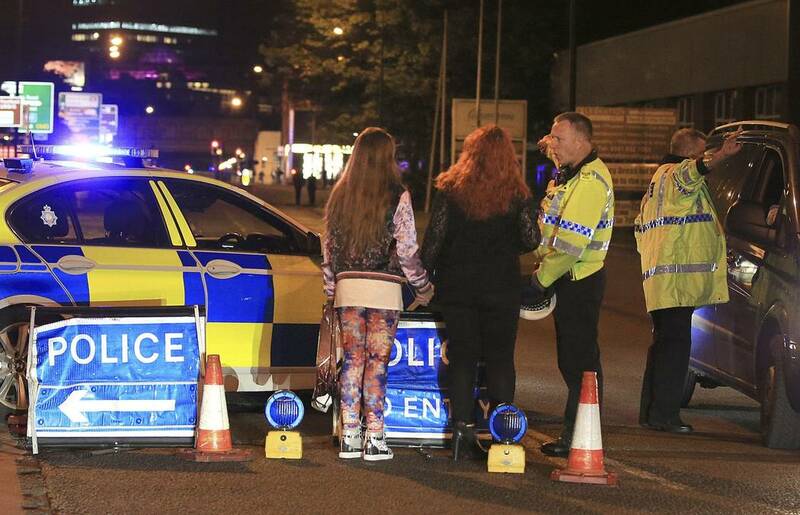 Manchester itself has seen terror before, but not this deadly. The city was hit by a huge Irish Republican Army bomb in 1996 that leveled a swath of the city center. More than 200 people were injured, although no one was killed.